A light duty polythene apron in white. 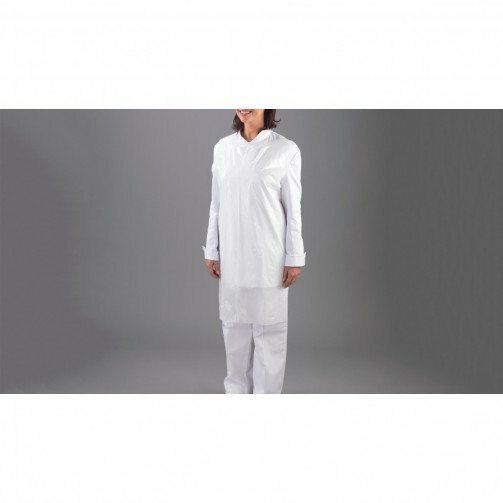 Manufactured in accordance with European PPE Directive 89/686/EEC, this minimal risk apron will ensure a high level of hygiene for many industries. 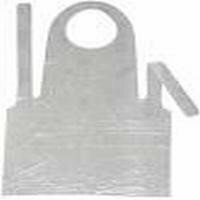 The aprons are packed flat in polybags and are easily dispensed. Polythene products such as this one should not be exposed to temperatures above 50°C. A choice of 6 colours across this range. Apron dispensers available to fit our rolls. 100 aprons in each case.